DEMAND, LOCATION, and PRICE! This home has it all. 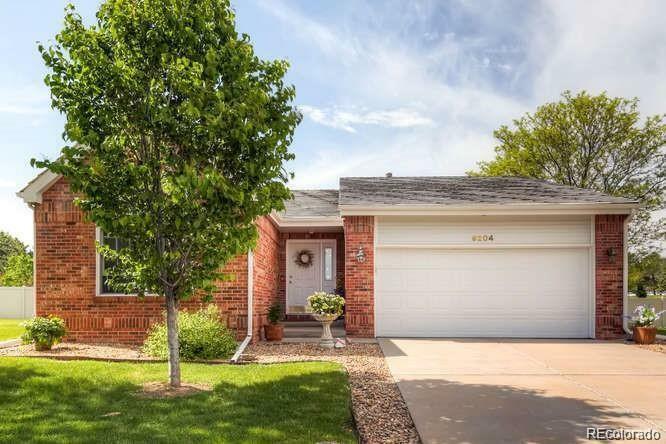 Bright and spacious ranch style home in HIGHLY desirable subdivision of Westminster City Center. You DON'T want to miss out on this rare opportunity!! This meticulously cared for home features 2 bedrooms, 3 bathrooms, plus a gorgeous office with french doors, formal dining room is perfect for entertaining. Adjacent to the dining room is the sun-room, perfectly situated for those hot summer nights filled with friends and family gatherings. Kitchen is generously spacious with main floor laundry room. IDEAL MAINTENANCE-FREE LIVING WITH FINISHED BASEMENT & BRICK CONSTRUCTION You'll fall in love with the elegant wood floors throughout the main level and gleaming natural light. Just steps away to shops, restaurants, entertainment, parks, and Hyland Hills Golf course. Fast access to HWY 36 - Denver/Boulder/DIA, minutes from the Westminster Downtown Redevelopment Project/ Future B-Line Light Rail.